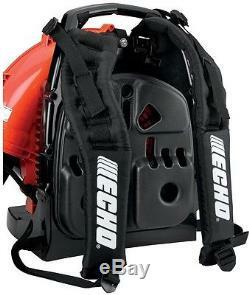 ECHO 215 MPH 510 CFM 58.2cc Gas Backpack Blower with Tube Throttle. 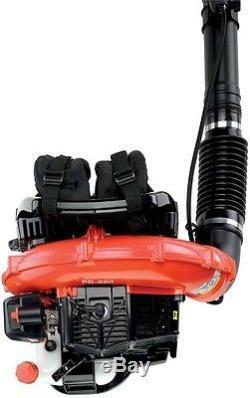 The ECHO PB-580T Gas Backpack Blower features a 58.2cc professional-grade, 2-stroke engine with a tube-mounted throttle. It delivers 510 CFM and 215 MPH blowing performance for a powerful impact. A unique vented backpad circulates air around the user for increased comfort in hot weather. 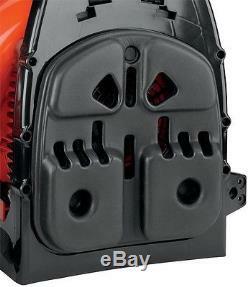 Its compact yet durable design offers easy transport around your yard area. Padded backrest and shoulder straps provide operator comfort. Pleated, automotive-style air filter for improved filtration and long engine life. 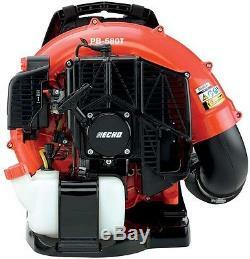 A leaf guard prevents overheating due to leaves and other debris blocking the blower intake. Metal wear ring at the end of the tube protects the pipe from damage. Translucent fuel tank lets you keep an eye on fuel levels. : 12.9 Product Height in. : 19.3 Product Width in. 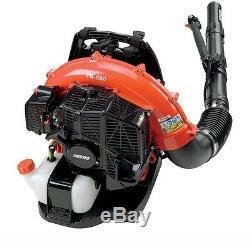 : 18.5 Blower Type: Backpack Blower CA (CARB) Compliant: CARB Compliant Commercial: Yes Engine Displacement (cc): 58.2 Engine Type: 2 Cycle Features: Adjustable Speed, Antivibration, Translucent Fuel Tank Fuel Tank Capacity oz. If you are not happy with your item please return it in the original packaging with all tags attached within 30 days. 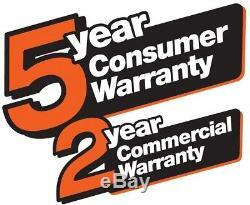 Our policy is to provide complete satisfaction with the product. We provide open, honest, prompt and clear communication with our buyers. The digital images we display have the most accurate color possible. However, due to differences in computer monitors, we cannot be responsible for variations in color between the actual product and your screen. 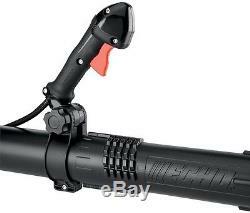 The item "Backpack Leaf Blower Prof 215 MPH 510 CFM 58.2cc Gas Power withTube Throttle Echo" is in sale since Monday, August 21, 2017. 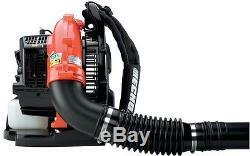 This item is in the category "Home & Garden\Yard, Garden & Outdoor Living\Outdoor Power Equipment\Leaf Blowers & Vacuums". The seller is "wholesalepropertiesny" and is located in USA.